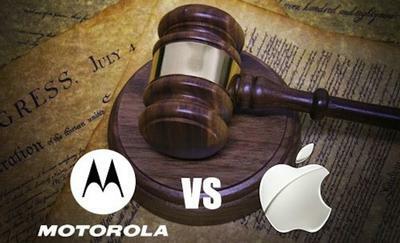 Apple vs. Motorola has been dismissed for good. Judge Richard Posner ruled neither company was able to prove that any sort of damages were incurred, and even blocked the two from refiling claims. As Posner put it, “Neither has acknowledged that damages for the infringement of its patents could not be estimated with tolerable certainty.” Good riddance. Started in 2010, Apple claimed that Motorola infringed on four of its patents, and in return, Motorola filed claims of its own. From a consumer standpoint, the two company’s have been quarreling over petty disputes. But that’s obviously how big corporations like to do business, by protecting innovations they perceive as stolen. Posner previously shut the trial down earlier this month, only to reconsider. The Judge’s ruling today is as definitive as it gets. “This case is dismissed with prejudice; a separate order to that effect is being entered today,” Posner said. Will Apple appeal the decision? We wouldn’t be surprised if it did.